In the upcoming issue of OK! 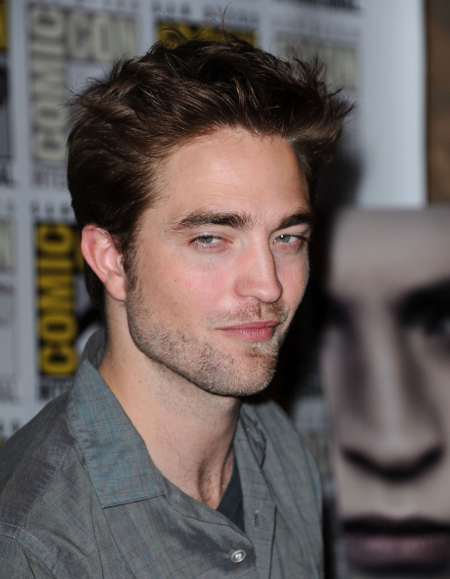 Magazine, Robert Pattinson, Kristen Stewart’s fellow Twilight actor and boyfriend of four years, demands to know exactly how many OTHER men Kristen has slept with. Wow, this issue is going to be a good one, folks. As fans around the world have been feeling the massive sting of betrayal, Rob has been left wondering just how many men Kristen has been in romantic, unfaithful, steamy affairs with, and I think he has all the right to do so. Honestly, who can blame him? Hadn’t Kristen been dating actor Michael Arangano for several years before meeting R-Pattz on the Twilight set, ultimately breaking Michael’s heart and saying so long to the relationship? Once a cheater, always a cheater. Although this pains me to no end to say this — I have lost the utmost respect for Kristen. On the bright side, Rob can do no wrong, and although his heart is no doubt broken, this controversy bodes well for him. He will have certainly many a shoulder to cry on — mine included if he knows what’s good for him. So are there more men out there that Kristen has had hooked-up with? Perhaps her fling with Rupert Sanders was just the only one she got caught with. Only time will tell if there are other secret men waiting in the wings to come forward. Kristen, for her part, has kept quiet, aside from the public apology she made admitting to her ‘brief indiscretion’ and proclaiming how much she loved Rob. Note, this is the first time she has ever hinted at being romantically involved with him. Sadly, it might be just a little too late K-Stew . . . .